The previous year witnessed a plethora of new features from social media platforms. Today, Social Media is where the people are, and that is where brands have to be. 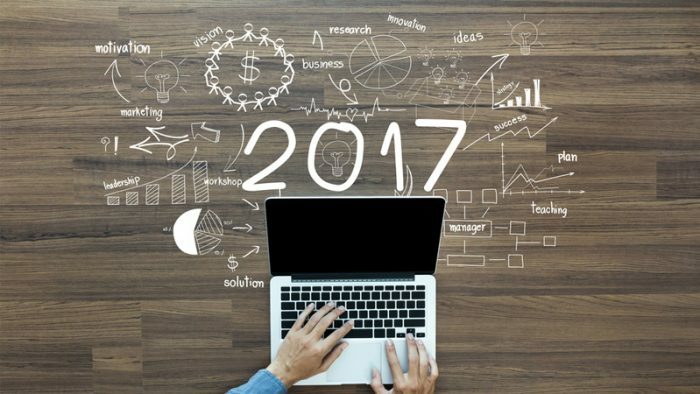 Swati Bhargava of CashKaro chalks out the top 5 trends that will shape the social media industry in 2017. If we know one thing about social media, it is that it’s ever evolving. As soon as you think you’ve learned all the tricks to fruition, the entire game changes. Now that the world is becoming social media dominant, all you need to do is stay updated with the latest trends and you will be able to start conversations, put yourself on the map and rope in customers, thereby increasing ROI. We predict some of these social media trends that will take center stage in 2017. A fail safe way to build awareness about your brand and build a social community is by doing LIVE VIDEOS. Last year we saw live video platforms including Facebook Live and Twitter’s Periscope becoming hugely popular mediums. Social videos have much more engagement than any other content format, and have been responsible for a lot of growth on Facebook. Going forward a lot of companies will benefit from formulating video-related marketing strategies that not only promote the brand and its products but also special events and happenings. Broadcasting instantly connects with the users as it is authentic in nature and gives a chance to interact with the brand in real-time. Instagram too is set to release a live video feature which will add to the video bandwagon. Artificial Intelligence applications like Google Assistant and Siri have proved that Chatbots are not only effective but essential tools to answer frequently asked questions in a decreased timeframe. By employing chatbots, brands too can reduce response times to queries from customers and also free up customer care representatives. Chatbots are capable of personalization to a great extent and work 24/7 making them indispensable resources once you start using them. AI can help brands not only communicate with their customers, but nurture business to business leads and increase sales and conversions. Brands want their customer experience enhanced, and introducing AI is the perfect solution. Keeping this in view, this year, a lot of companies will begin to bank on chatbots. It is no longer rare to see top level executives making their presence felt on Facebook, Twitter and the like. The role of a CEO or founder is now growing to become that of Chief Reputation Officer – a person who not only manages the working of the business but also its image on the outside. CEOs also have a stature of authority when it comes to social media and can create numerous loyal followers through their social engagement activities. They are the best custodians of the brand. When users interact with CEOs/Founders, it gives them a sense of privilege which later turns them into brand advocates. I myself interact with users on Twitter and regularly engage with them. Users seemingly are more focused and engaged on messaging platforms like WhatsApp, Facebook Messenger, Viber and WeChat than social networking sites like Facebook, Twitter, LinkedIn, and Instagram. Over-the-top (OTT) messaging and SMS messaging are millennials’ preferred form of communication. Many brands are using messaging apps to communicate one-on-one with customers. Millennials want the personal touch, transparency and collaboration that the one-on-one communication allows. These apps provide a faster and easier way for customers to get the assistance they need, rather than being placed on hold or waiting for a returned email. In 2017 and beyond, marketers should anticipate less social networking and more messaging for instant, real-time connection with audiences. Since the past few years, the mobile platform has taken the e-commerce industry by storm. Most users consume a major chunk of social media through mobile phones and are also likely to engage more through the platform. In view of this trend, mobile optimization is no longer an option but a necessity for brands. The mobile platform needs to become a priority for social media managers who in turn need to make plans that put mobile first and not just optimize for mobile. It is fairly obvious that platforms such as Instagram, Pinterest and Snapchat will also become important weapons in the social media arsenal of brands in addition to the platforms like Facebook and Twitter that they’ve already conquered. As the year has just kicked off, this is the best time to study trends and create social media plans by incorporating these predictable trends. Also necessary, is taking the lessons learnt in 2016 and carrying them into the New Year. Anil Kapoor's Instagram is totally Jhakaas! We have proof!